Its really important for us as a family to get the kids each year to set their own goals for whatever they might like to achieve. Most of us as adults do this so why not encourage our kids to do the same. "Encouraging your child to set goals is important because not only can it improve their confidence and build their self-esteem, but it also helps them focus and make better decisions. Along with this, goal setting can be used to motivate your child by ensuring that they achieve smaller goals on a regular basis. With this in mind, teach your children the importance of goal setting and how to go about it. Children are naturally great goal-setters. They all know what they want to be “when they grow up” and this makes for the beginnings of goal setting. As parents, we should try to encourage and develop these early ideas into the powerful belief that they can go for their big dream and that it will come true if they work hard enough to achieve it. We decided to do things differently this year and got the kids to spend some time writing out their goals and decorating a piece of paper. 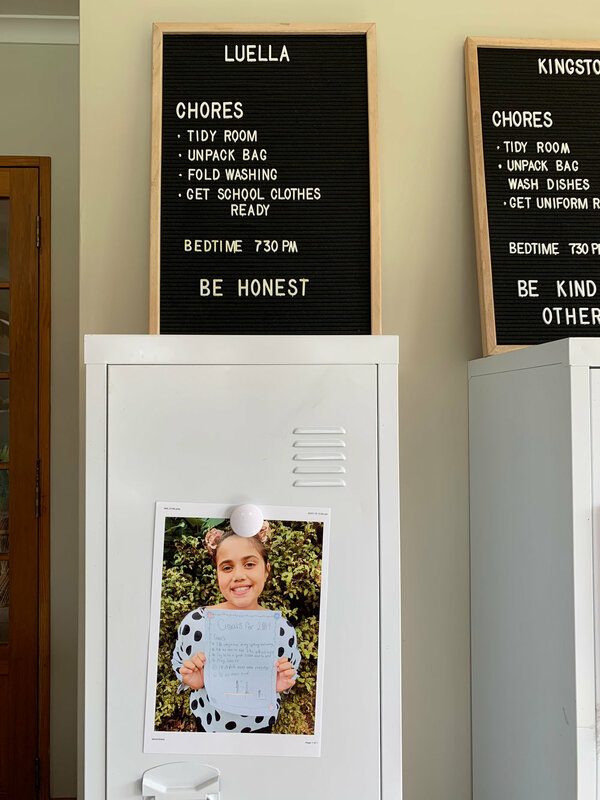 I then took a photo of them holding up their goals to print using the Epson EcoTank to put on their lockers so they are reminded each day what they are working towards. The kids are so excited to have something to work towards. We loved how easy it was to send a picture from my Iphone to the computer and print it off using the Epson Glossy printing paper on our Epson EcoTank printer. I also love that the printer has a built-in tank which you simply top up with Epson ink bottles. Ink is supplied directly to the printer so there are NO CARTRIDGES to replace and less plastic going to landfills! With 5 kids and a tonne of school projects throughout the year means the Epson Ecotank means access to endless printing! Did I mention it comes with enough ink to print 6500 pages in colour and 4000 in black?